Designed and built exclusively for FSX, A320 Jetliner is part of Just Flight's much acclaimed and user-friendly F-Lite series. Developed in-house by Just Flight?s expert designers, A320 Jetliner features accurate and detailed exterior and virtual cockpit modelling, a custom-programmed Multifunction Control Display Unit, CFM56 and IAE V2500 engine models with high quality sound sets for both engine types, and 20 international airline liveries. The A320 is Europe?s answer to the American-built 737 and has been highly successful on short- to medium-length routes, with over 4,500 in worldwide service or on order since the aircraft first entered service in 1988. 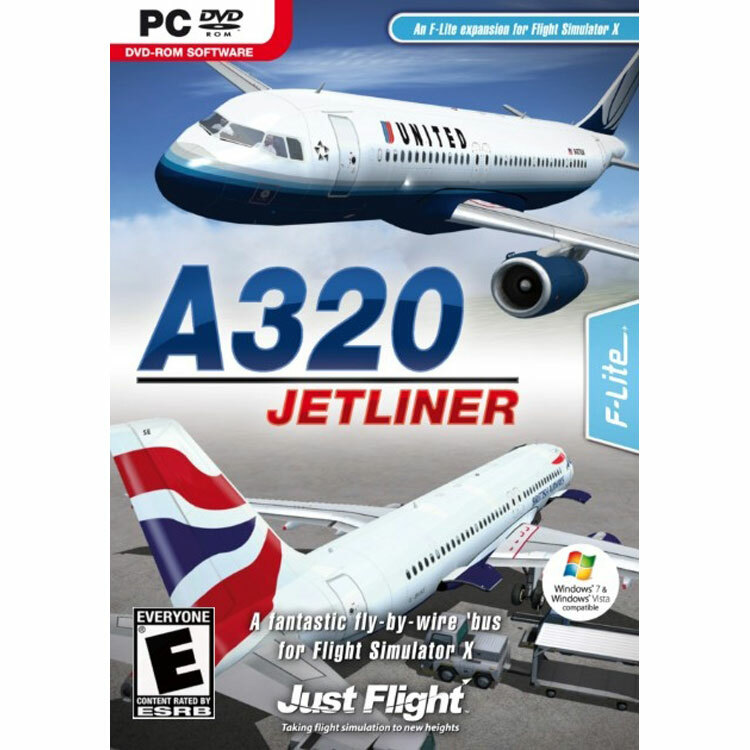 Designed and built exclusively for Flight Simulator X the A320 Jetliner is part of the much acclaimed and user-friendly Just Flight F-Lite series. Developed in-house by Just Flight?s expert designers, A320 Jetliner features accurate and detailed exterior and virtual cockpit modelling, a custom-programmed MCDU (Multifunction Control Display Unit), CFM56 and IAE V2500 engine models with high quality sound sets for both engine types, and 20 international airline liveries. Just Flight's F-Lite range of aircraft is designed to provide top quality aircraft that are extremely high in detail but less demanding to fly than today's most complex procedural simulators. These aircraft are a significant step up from the default Flight Simulator aircraft in terms of modelling and cockpit systems, but won't require weeks of study before you can get airborne - see the full F-Lite range here.